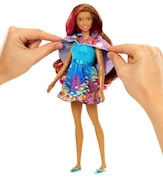 Bring Barbie Dolphin Magic™ to life with a gorgeous transforming Barbie® doll! 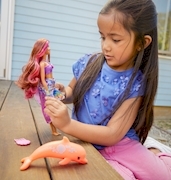 Ready to dive into an ocean of fun, this Barbie® doll can transform into a mermaid with a two-in-one outfit. Simply change her tropical sundress into a mermaid look by pulling down the sleeves. Pretty ocean prints decorate both the dress and her tail. For even more fantastical effect, use warm water to change her bodice AND tail fins from sparkling purple to blue. Help her explore the ocean with her dolphin friend. The pretty coral dolphin can squirt water to add to the fun! Additional accessories include a necklace, a pair of flip-flops and a hair comb to style the doll's beautiful pink-streaked hair. 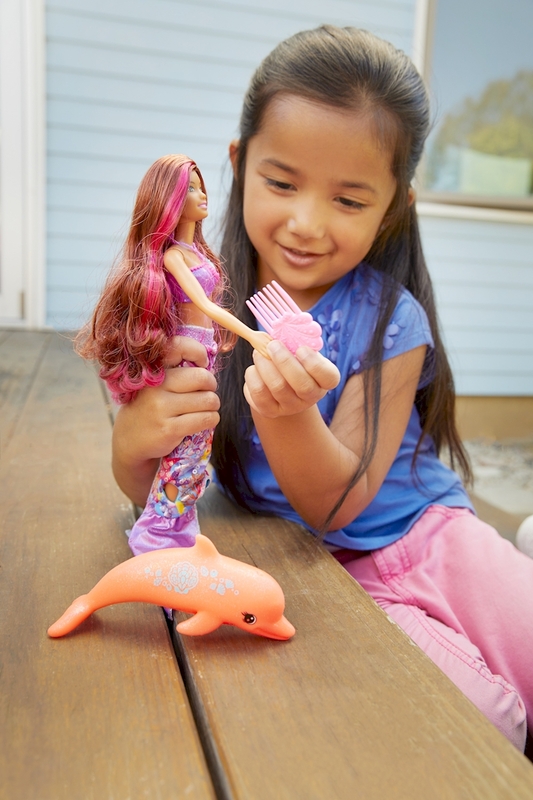 Fans will love recreating scenes and telling their own tales on land and in the water because with Barbie®, you can be anything! Collect all of the dolls and accessories from the Barbie Dolphin Magic™ line (each sold separately, subject to availability). 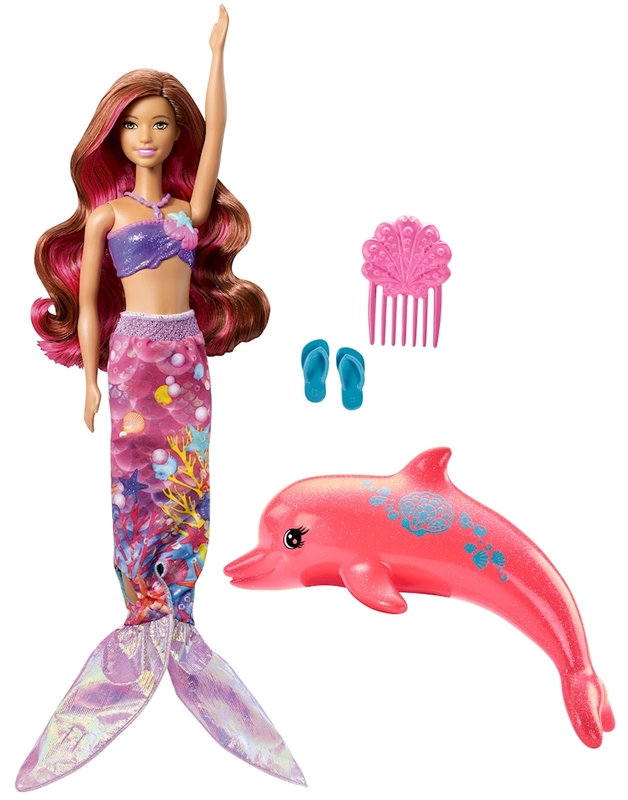 Includes Barbie® doll wearing color-change fashion, a water-squirting dolphin toy, necklace, flip-flops and comb. Doll cannot stand alone. Colors and decorations may vary.